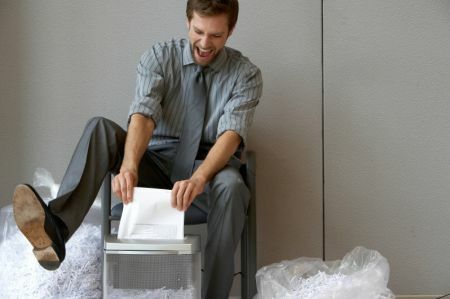 Reduce the hours that you spend shredding and let Signal shred your confidential business records for you. Signal can offer a cost effective and efficient solution for complete destruction of your confidential documents and business records. If you are looking for a local South Australian shredding service to shred a couple of archive boxes or an ongoing confidential bin service or even document destruction by the truck load, choose Signal. Signal ensures quality service every time and always looks after your individual requirements. Not only can you reduce the number of old files taking up precious space and reduce the costs associated with in house shredding you will also be helping the environment as the shredded paper is mulched and turned into recycled paper. Confidential papers and business records. Out dated materials and product destruction.